The look, feel and movement of the dashboard has been updated to focus on speed, customisation and expression – for you. Choose the light or dark theme, customise your background with game art and select your favourite accent colour. Have a favourite game or friend? Add them to Home. Content blocks can be added, moved or removed as your interests or habits change. New tab flyouts make it easier to see more content quickly and switching between tabs is effortless. Join friends, manage your game clips and broadcasts, switch between apps and get back home faster than ever. Staying connected with Friends and Clubs is now better than ever. View full-screen screenshots and clips in your community feed. 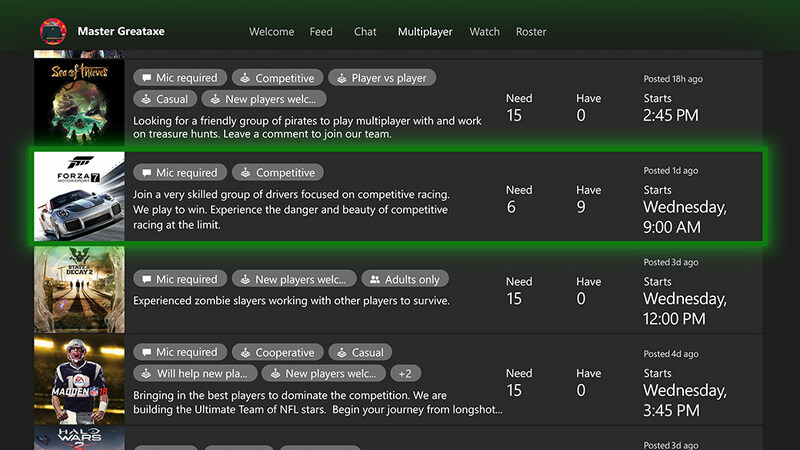 See Clubs you're already a part of, start an LFG with other club members and easily discover new Clubs to join. Mixer is the only next gen streaming service that offers viewers real-time influence and participation in live game streams. 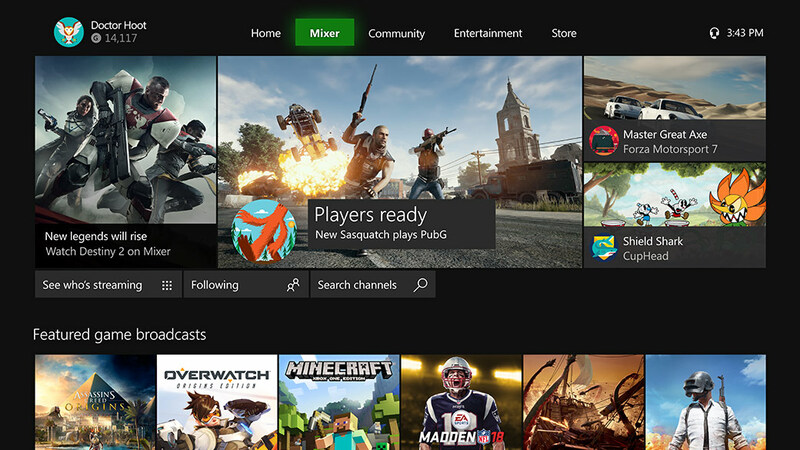 Mixer broadcasters can now broadcast at up to 1080p on Xbox One, plus there's now USB webcam support. 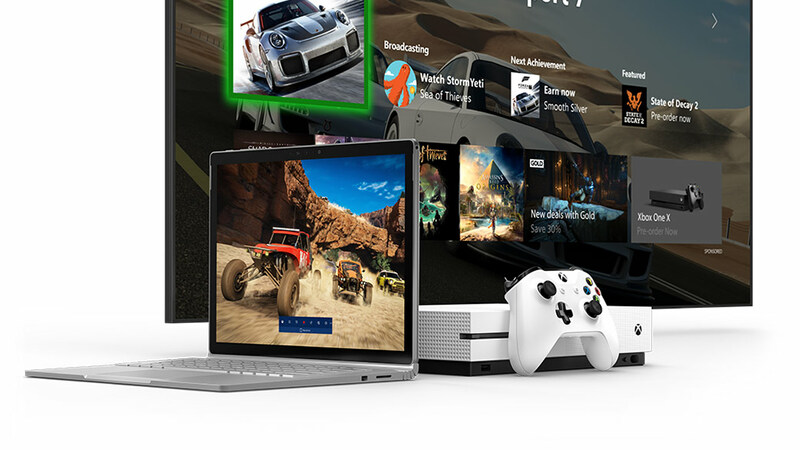 Xbox Assist is a built-in app with personalised tips and help, smart notifications, community tips and troubleshooting tools to optimise your Xbox experience. New features and options put you in complete control of how you play and broadcast. Broadband internet required for update; ISP fees apply. 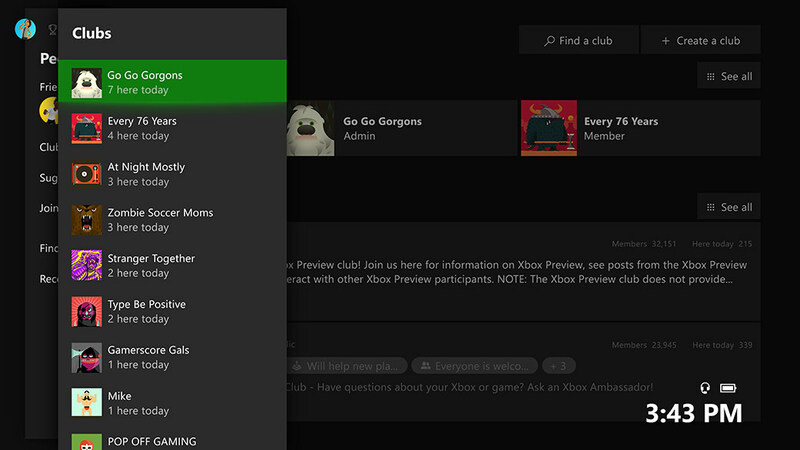 Some features including online multiplayer require Xbox Live Gold subscription (sold separately). Cortana only available in select jurisdictions. Kinect required for Cortana speech recognition.